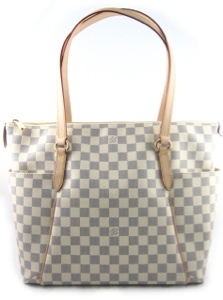 LV Totally has been in my wishlist for ages. It was a better alternative to LV Neverfull although it is pricier. Unfortunately, I was really in love with this bag already. I found a video in youtube [here] where she made a head to head comparison of these bags. Would you want to pay more to buy luxury handbags or would you rather buy handbags that cost twice or triple lesser? I finally bought Michael Kors handbag [you can see the post here] but not in the colour above although that was I wanted at first. I bought it online from Saks Fifth Avenue for USD248 while they were having shipping promotion for USD10.95 :D Great bargain! I have not seen yg for men though. I better check them out after this. Hehe.. Did you buy the bags through the website or arah org yg tinggal disana thru fb? Bcos now I see there's someone else other than Belle Paris doing it. I purchased a watch. From malaysian iluvbagincorporation. Pasal at that time I don't have a credit/debit card yet. So I went to them since I can just wire them the cash through remittance and just ask them to deliver straight to Brunei. Harga pun kalau inda salah, both from the web and through the luvbaginc, more or less the same. Love love love love looooove MK!! I'm definitely gonna splurge my $$$ to one of them.. insya-Allah~ hehe kumpul2 dulu.. there's just so many di kepala ani kalau di list down kepengsan! *lol* The design, I love! I love their designs too especially the one above! Hehehe ;) Yeap, mesti kumpul2 dulu..
nice post, thank u for sharing. 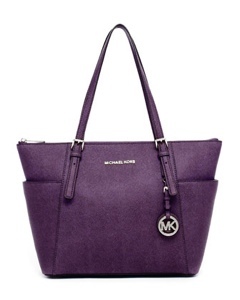 I love the Michael Kors Jet Set Tote!